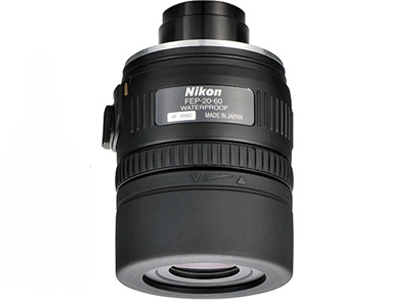 The EDG VR Fieldscope 20-60x85 Spotting Scope from Nikon features a lens-shift type Vibration Reduction (VR) system that reduces image vibrations and blur during observation. The two voice coil motors that control the shaking are capable of detecting movement every .001 of a second. VR keeps the world still so that the small details of viewing can be appreciated with clarity. The batteries have a 17 hour runtime and power off automatically after 30 minutes without use. A power button and lock-on knob with a green LED controls the 4 AA user-supplied batteries. 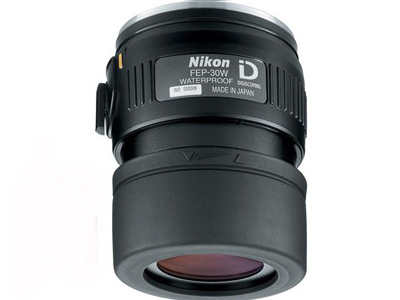 The EDG VR can also be used without the VR and function like a standard fieldscope. 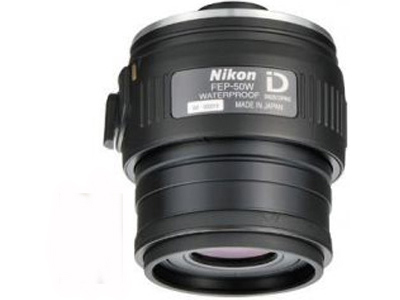 Additional optics technologies in this spotting scope include Extra-low Dispersion (ED) glass to compensate for chromatic-aberration and an advanced apochromatic, field-flattener lens system. Multilayer lens and prism coatings contribute to the exceptional optical visual feast dispensing sharper, clearer and more brilliant fields of view with bright details, even in low-light conditions. Aspherical eyepiece lens construction contributes to the elimination of edge aberrations. 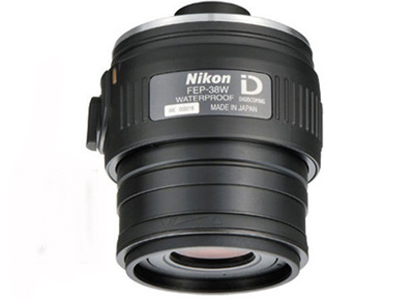 The body and eyepieces are waterproofed with o-ring seals and nitrogen filled to prevent fogging and condensation. The relative brightness level is 18.5 at 20 power. Three sets of tripod mounting threads are engineered into the housing for optimizing balancing. 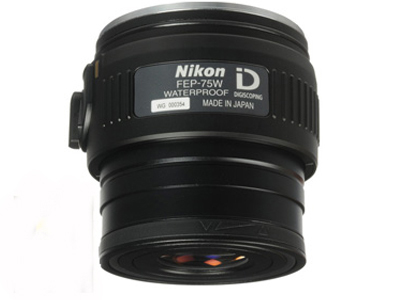 Focusing is achieved with a hand gripped ring at the objective end of the optics offering coarse and fine focusing abilities. An integrated sliding hood blocks out unwanted glare when extended. 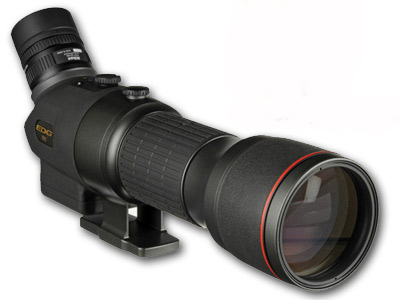 This spotting scope has been engineered with a plethora of features and superior optics for the optics connoisseur looking for the maximum in a fieldscope.